New Zealand’s theme parks reflect our country, culture and sense of adventure. We’re a relatively small, beautifully formed nation of friendly and innovative, ‘can-do’ people. Kiwis love outdoor adventure and are extremely fortunate to have the most stunning natural playground to call home. Our country’s size and relative remoteness means that creativity and innovation have evolved as part of our New Zealand identity and culture. As Kiwis, we have a natural tendency for inventiveness and ingenuity, and a relaxed and positive outlook on life. Kiwis don’t take themselves too seriously ­and having plenty of fun is definitely important. We may not have vast theme parks on an large scale, like Disneyland. But what we do have is unique, fun, quintessentially Kiwi experiences that provide thrills, delight and an insight into our New Zealand-ness. 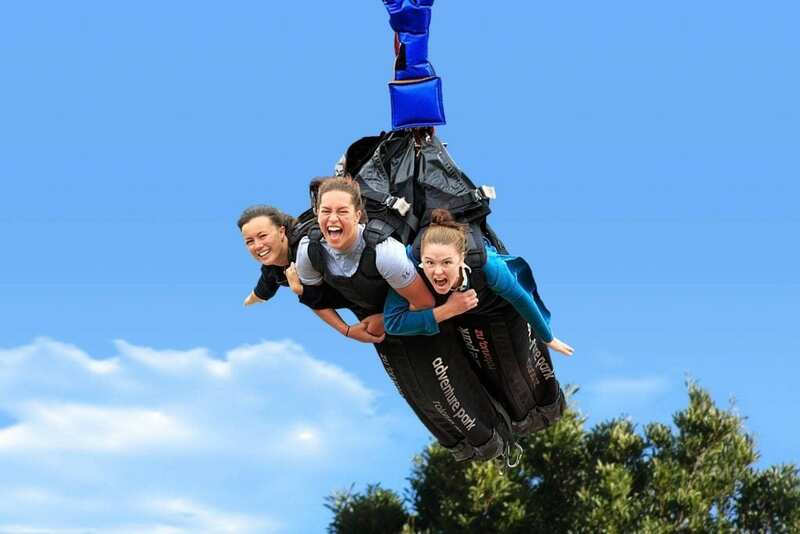 New Zealand has a variety of theme parks: Rotorua’s Velocity Valley Adventure Park is the place to go to experience world class adventure experiences with a completely New Zealand flavour. Rainbow’s End, in Auckland, offers a variety of rides and fear-factor options – think rollers coasters, free-fall rides and log flumes. Christchurch Adventure park, situated in the Port Hills, Christchurch, has a scenic chairlift, some great downhill mountain biking trails and a zipline. All the parks are quite different, so you can choose your favourite adventure format – and off you go! Rotorua’s Velocity Valley Adventure Park has all the best Kiwi adventure experiences conveniently located in one place. 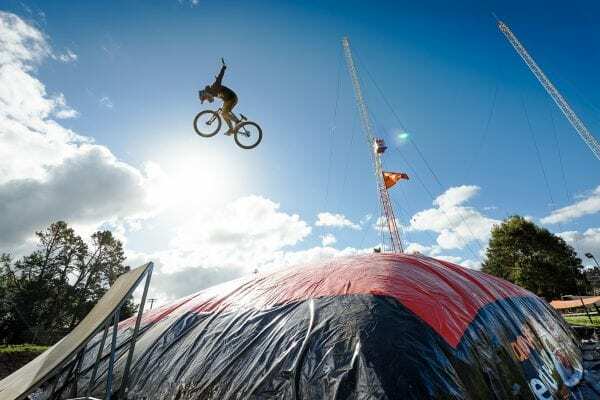 Nestled in the rolling hills of lush Paradise Valley farmland, the park has six adventure rides and experiences – all Kiwi inventions – and all guaranteed to provide an epic day’s fun. Feel the buzz of acceleration, and 3Gs of force, whilst skimming the surface of the water in New Zealand’s fastest jet boat experience. The jetsprint is capable of speeds of 100 kilometres per hour. Blow away any cobwebs (or jet-lag! ), as you rocket around the custom-built course, pinned to your seat in awe of the world’s first ever commercial Jetsprint. Velocity Valley’s 43-metre Bungy jump – the most popular introductory bungy jump in New Zealand. Invented in New Zealand, bungy jumping is one of the world’s most popular extreme activities. The magic of Velocity Valley means you can enjoy the excitement of a bungy jump as well as experience all the other fun activities available in the park. 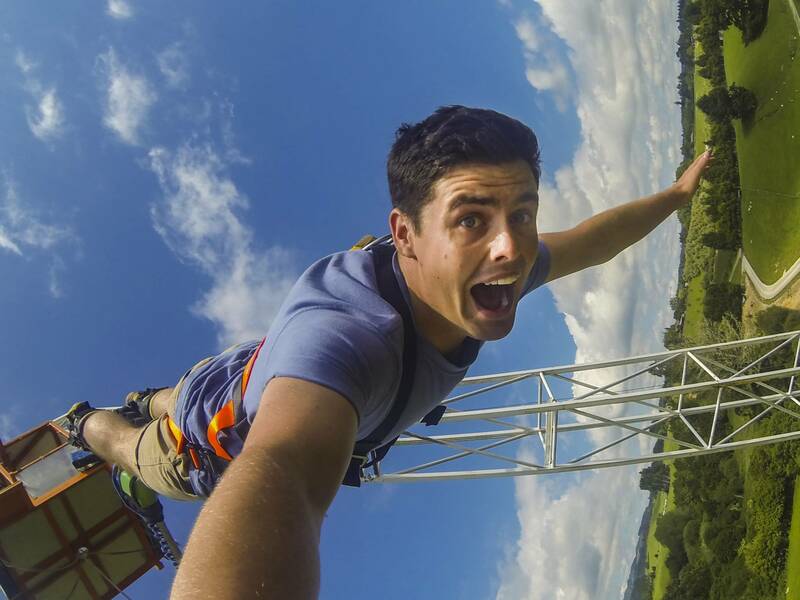 The ‘terminal velocity’ bungy is New Zealand’s most popular introductory bungy jump. With superb views from the top, the 43-metre jump can be done solo or tandem with a friend. The Shweeb – the only place in the world you can race the Shweeb! Racing The Shweeb at Rotorua’s Velocity Valley Adventure park. 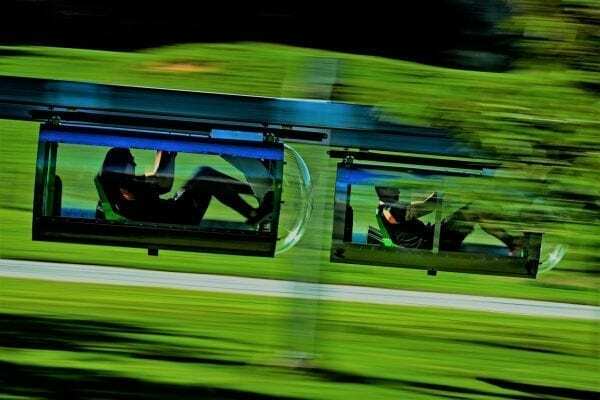 Racing your mates or the clock in a Kiwi-designed and built recumbent, pedal-powered pod, is a unique and exhilarating experience. Reaching speeds of up to 50 kilometres an hour, you’ll be experiencing an inspired New Zealand invention that Google liked so much they invested in. The Shweeb is a once-in-a-lifetime experience; Velocity Valley is the only place on the planet you can try it out! The Swoop can harness three people – and their inevitable screams! Unclip yourself from the platform and unleash the giant swing across the park at great speed. If you want to know what it feels like to float through the clouds, you can spin, flip or soar like a bird in the Freefall Xtreme wind tunnel. Freefall Xtreme at Velocity Valley. Feel the 220km/h wind in your hair! And for the two-wheeled enthusiasts, you can jump on a mountain bike and bust out any combination of freestyle jumps and tricks. The giant Freestyle Airbag means you can land any crazy air-born antics safely. The Freestyle Airbag. Land any crazy trick you want. 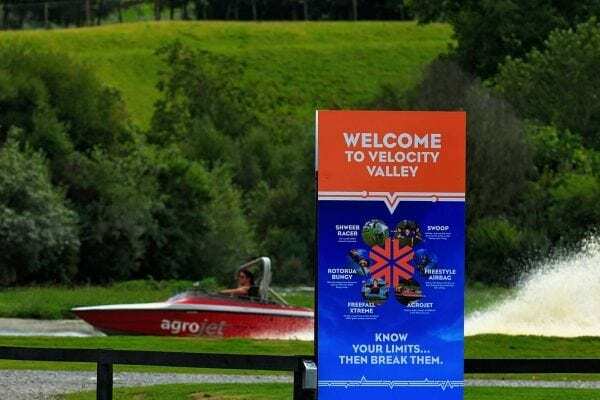 If you’re up for a fun-filled, family-friendly day of adventure, with a purely kiwi feel, Velocity Valley is your new favourite happy place. 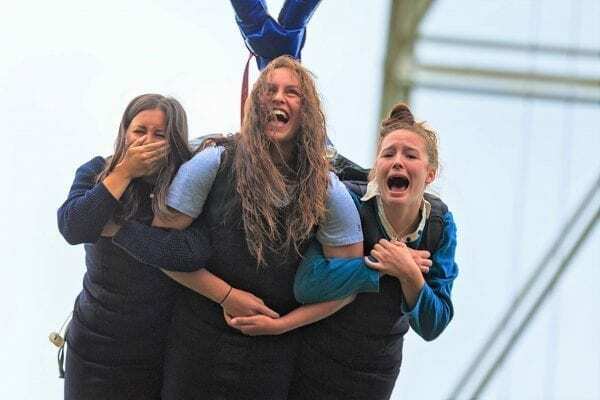 Rain or shine, the friendly team at New Zealand’s best theme park will ensure you have an incredible day and leave with a massive smile on your dial.